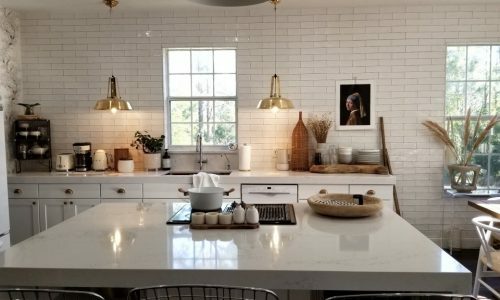 What is a “backsplash”? Why is it important? 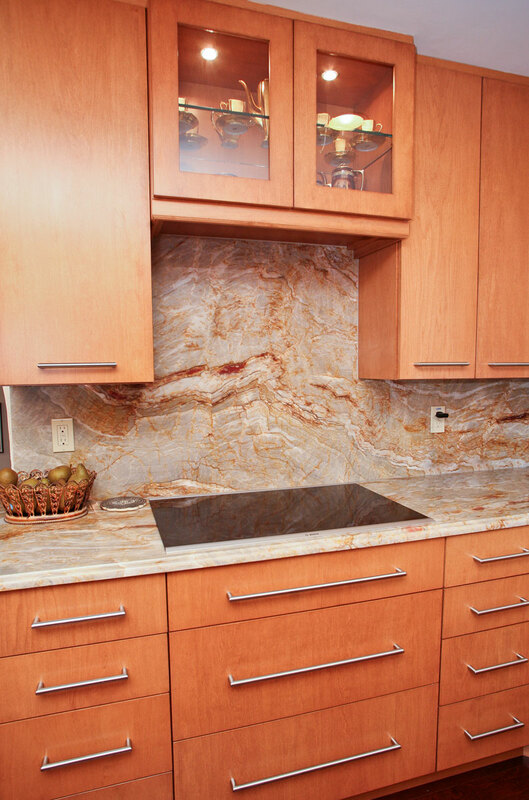 A backsplash is an important part of finishing a new countertop project because it provides a barrier of stone between the countertop and the wall. Backsplashes in kitchen and bathroom applications are a popular trend in the Orlando and Central Florida area due to its stunning appearance, and should not be something that is overlooked when building or renovating your home! 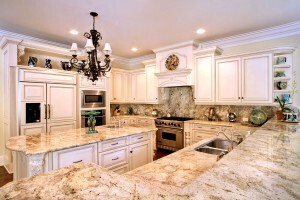 Aesthetically pleasing- the countertop backsplash extends the look of your granite, quartz or solid surface countertop. 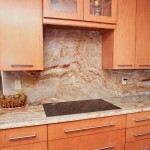 This accents your wall with more stone, which ties in the look of your kitchen countertop. Keeps your walls safe from grease and other stains- from frying bacon to simmering tomato sauce, it is likely your walls will become stained at some point from cooking. This makes cleaning the vertical surface near your cooking or cutting areas easy to clean because you will simply be able to wipe them off. A kitchen countertop backsplash will also protect your walls and paint – Since cooking produces both heat and steam, it is possible that over the years the paint behind your stove will begin to fade, or even peel. 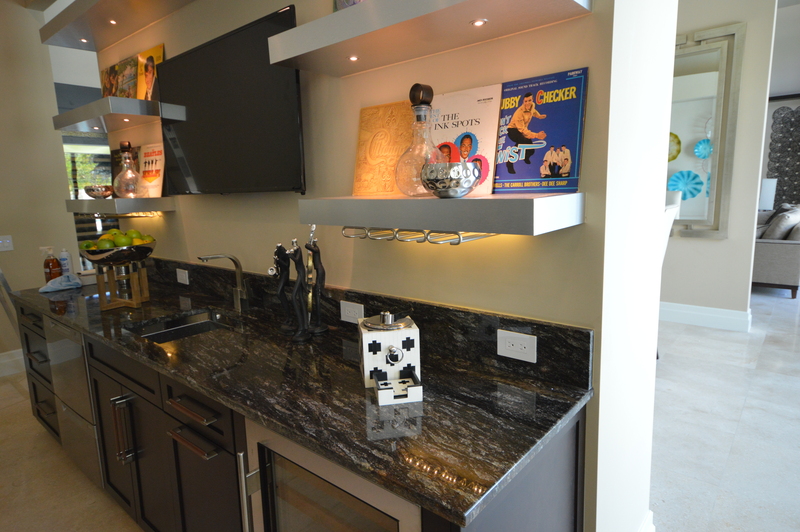 The stone surface will protect the wall behind the cooking area from the heat. 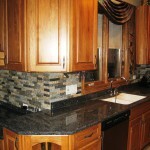 The shortest backsplash we offer is the 2″ height. 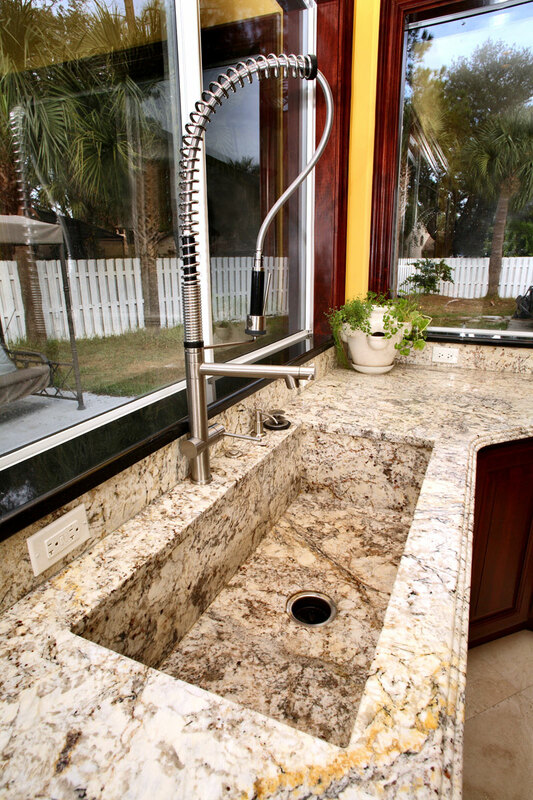 This is enough to accent your countertop and to prevent liquids from running into the wall. 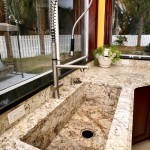 It is commonly used in both bathroom and kitchen countertop applications. 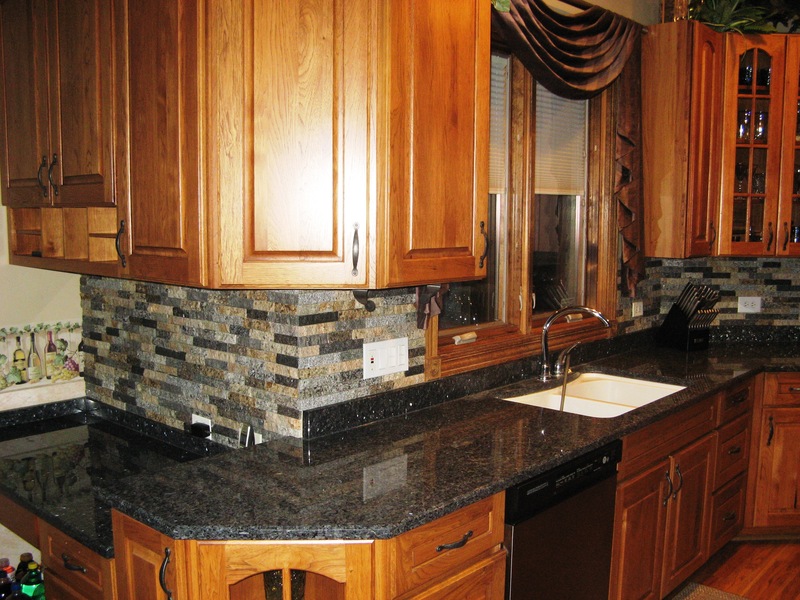 The 4″ backsplash is the most popular style we offer due to the protection it offers and the way it accents a countertop. 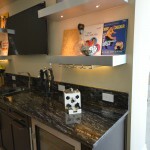 This is our standard kitchen countertop backsplash although it can be used for bathroom countertop applications as well. The full backsplash provides the most protection to your walls because it covers the entire area from the countertop to the cabinets. This backsplash height is commonly used next to heat producing areas such as the stove; however it can also be used for an entire kitchen. 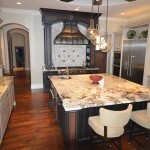 We do not offer tile backsplashes, however if you would like a tile backsplash we can refer you to tile installer. The tile provides a unique look to your kitchen or bathroom because tiles can provide texture, or visually interesting patterns to your walls. Living an active lifestyle, your kitchen becomes one of the most important homes in your home whether it is for cooking, entertaining, or family time. Making sure your kitchen can keep up with your lifestyle is a daunting task, so we have put together a guide to helping you select the right kitchen countertops for your home!